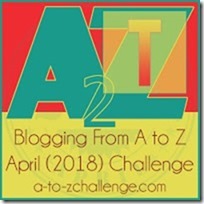 Travel Technology: 9 Apps that Enrich Your Travel Experience #AtoZChallenge - A Rose Is A Rose Is A Rose! Technology is an integral part of our daily lives, and that includes travel too. While we use technology ie travel apps to book our flights, accommodation and cabs, convert currency, check local maps, weather forecast and language translator, there are a lot of travel Apps that can enhance our travel experience. 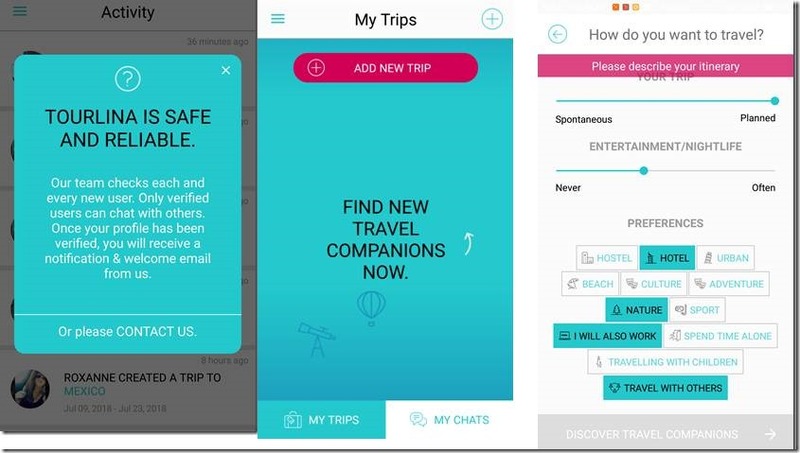 Check out these Travel apps which are actually your ‘virtual helpers’. PackPoint (Free on iOS and Android) – This is a packing list generator uses your information to customize a packing checklist for your destination. Tell the app your gender, where you’re going, the time of year, and any activities you have planned, and it will create suggestions for clothing, essentials, and gear you should take along. How amazing! Tourlina (Free on iOS and Android) – Tourlina is an app for women to help you find a female travel buddy who has similar interests, within a safe travel network. It’s like a non-romantic dating app for female travelers, who would rather travel with a woman than with a man. 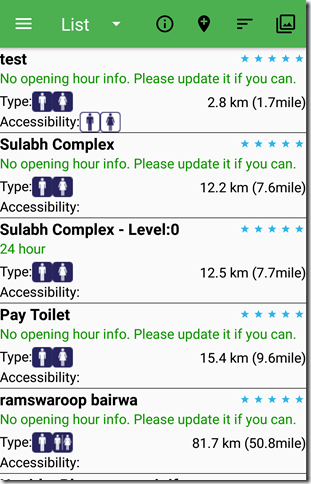 Where is Public Toilet (Free on iOS and Android) – The idea of an app for finding restrooms seems ludicrous, but actually it is pure genius. 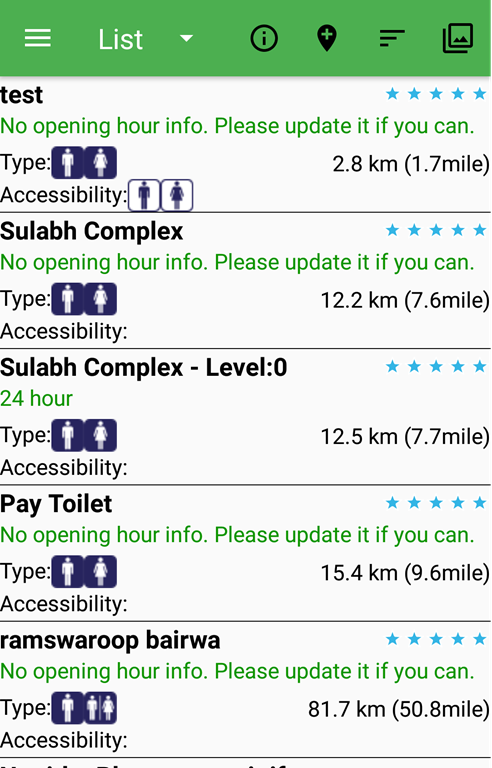 This app help you find a clean public restroom near your location. 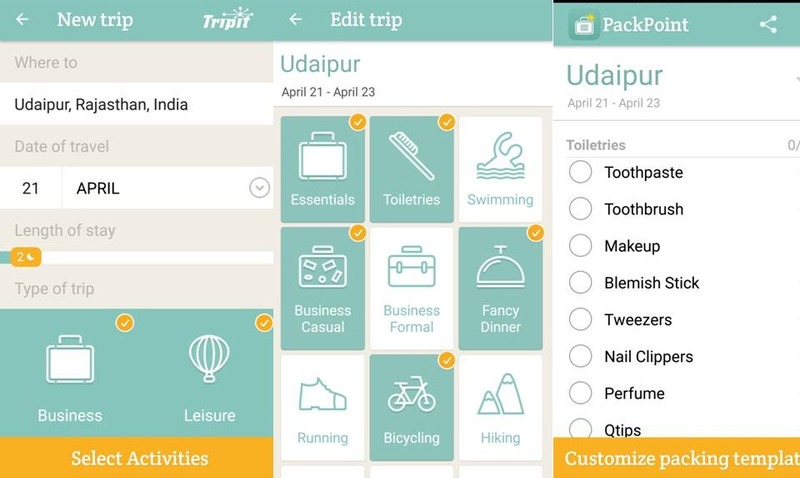 TrabeePocket : Travel Expense (Free on iOS and Android) – This app makes spending in a foreign country easier and simple. The app tracks your spending and keeps your budget organized. You can note the expenses in the currency of the country and also classify your expenditures by cash or card. If you buy the premium version of the app, you can export your expenditure report in csv or xls format. 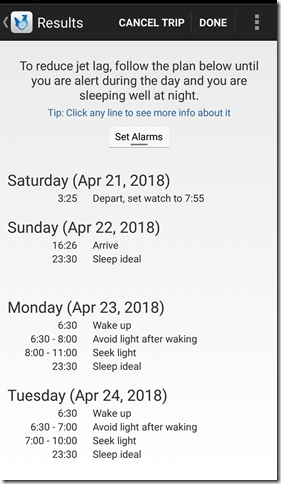 Jet Lag Rooster (Free on iOS and Android) – There is nothing worse than being exhausted on vacation. 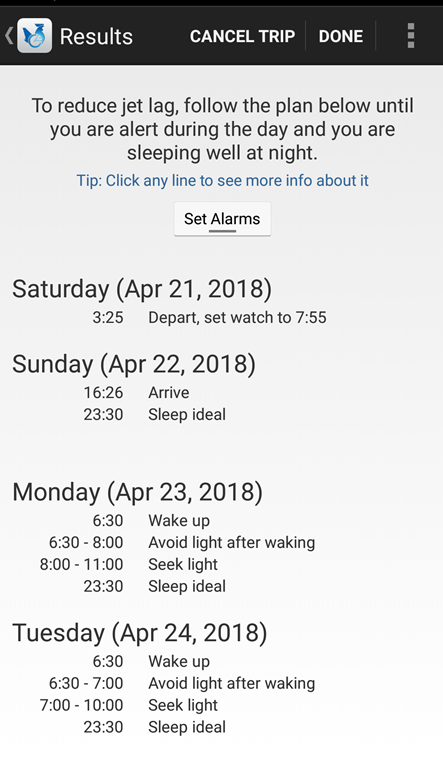 This app will tell you how to reset your sleep clock in the days before a trip so you won’t be exhausted once you reach your destination. Roomer (Free on iOS and Android) – You had booked a hotel room and now you cant travel due any exigency and you are stuck with a non-refundable hotel reservation. You can get rid of it using Roomer. You list your room and wait to hear from someone who wants to take over your reservation — no more losing money on cancellation fees! Brilliant isnt it? 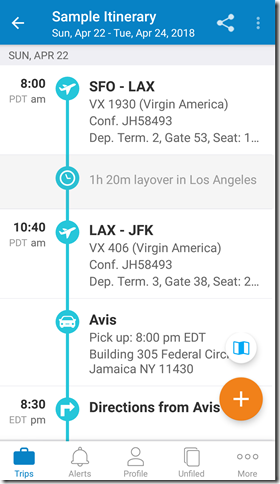 Tripit (Free on iOS and Android) – If your trip has a lot of flights, hotel bookings and airport transfers and all these details are in different emails. 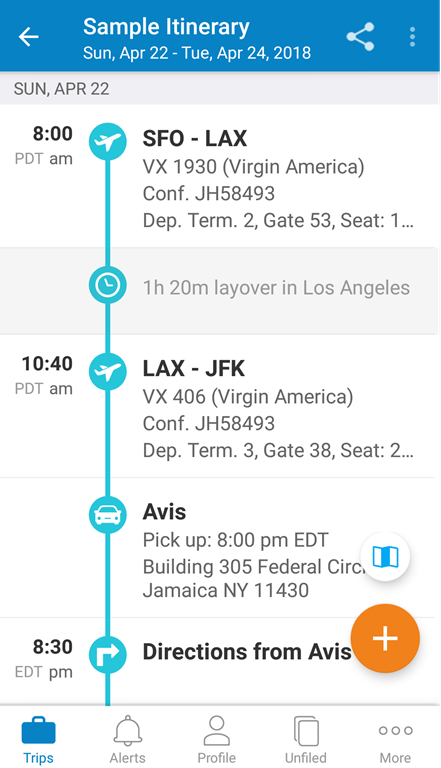 Simply forward your flight, hotel, or other travel confirmation emails to plans@tripit.com and TripIt will instantly create a master itinerary for each of your trips that you can can access anytime, anywhere. 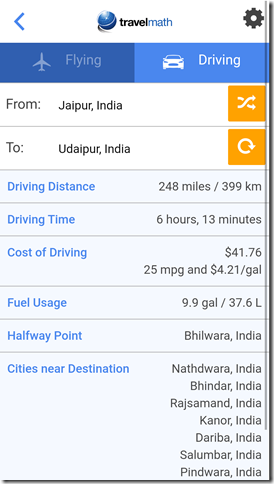 The app can extract the relevant data from the attached PDFs or the body of the email. You will get alerts on your phone, for when check-in is available, if flights are delayed, for gate changes and other journey-related alerts. How cool is that?!? Been (Free on iOS and Android) – This app lets you track the number of countries they have visited. This app is perfect for those who would want to know the percentage of the world they have seen and would want to increase that number. Travel Math (Free on iOS and Android) – If you are as bad as me in numbers and calculations then Travel Math is the app for you. 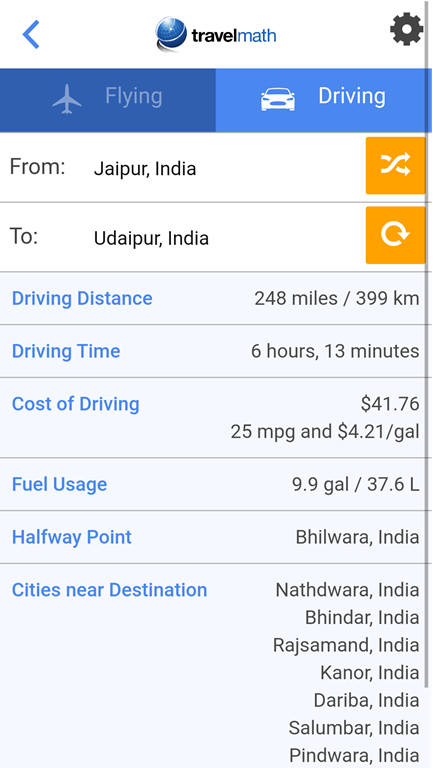 It measures distances between two locations, driving time, nearest airport, time difference, walking distance etc. I find the web version better than the app though. Whether you’re leaving for a business trip or off on business, going away with the family or traveling the globe on your own, these travel apps certainly ensure a hassle-free trip. Have you used any of these apps? Would you recommend any other travel app? Do share in the comment box below. As tech savvy as I consider myself, I haven’t used any of these Apps. I think the rest room locator is really nice. This is so informative. 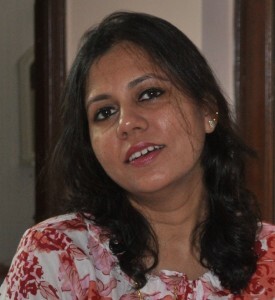 Fabulous blog post Shilpa. Extremely useful – Im sharing it. Sorry, i have been unwell last week and could not comment on your posts. Some great ideas there, Shilpa. One thing I found going OS is the high data usage by apps when out and about and not able to log on to wifi in some spots. An app on that would be great. I guess most of the those apps have good security so our personal data is safe. Terrific post today Shilpa. Lots of useful info, I’m saving this one. Call me old-fashioned, but I see holidays as an opportunity to forget all about the techie things that surround me every day! Thank you so so much for this, Shilpa! Especially for the public toilet one. Oh how much that is needed! 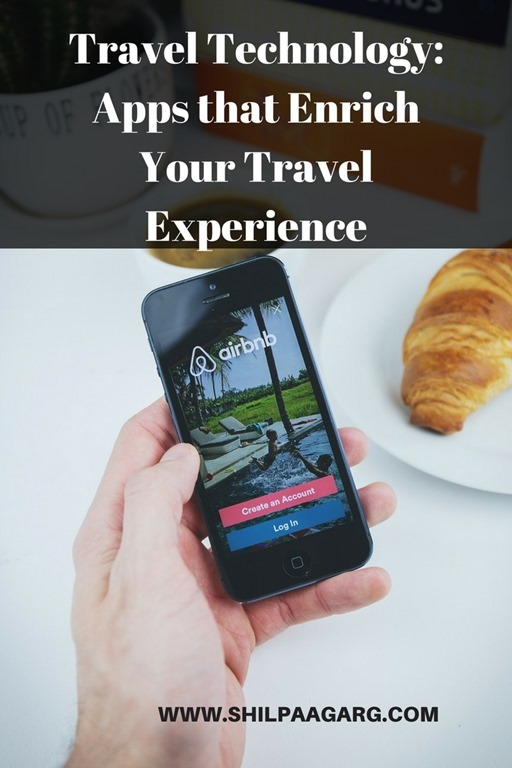 I can have this experience now by using 9 Travel Technology apps. Great thanks to you. Plese, keep sharing. Oh wow… I had no idea of any of this!!! I have just been booking via travel sites but never anything else.. and this list of essentials to carry and all! I need! This is a great list. I love Tripit. What a boon for a complicated trip. This post is right on time. I am going to download some if these to guide us on our trip. A helpful post. Very helpful apps. Just a few doubts about Roomer. Will the hotel come to know that the reservation has changed hands? Many hotels ask for ID and if the name is different than the reservation, it will lead to a few problems. I didn’t know about any of these apps – what a great and helpful list! Wowza what a treasureful post this is Shilpa- I havent heard of any of these apps but they all sound amazing for a traveller. Thanks for sharing these helpful apps, I’m a regular traveller.